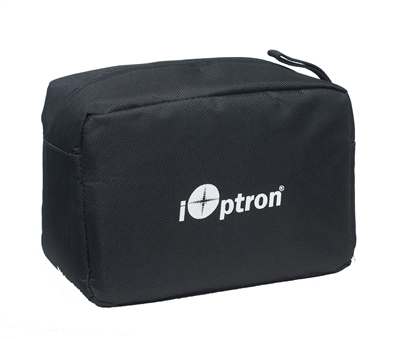 Introducing The SkyTracker Pro -- iOptron s next generation camera tracking device! 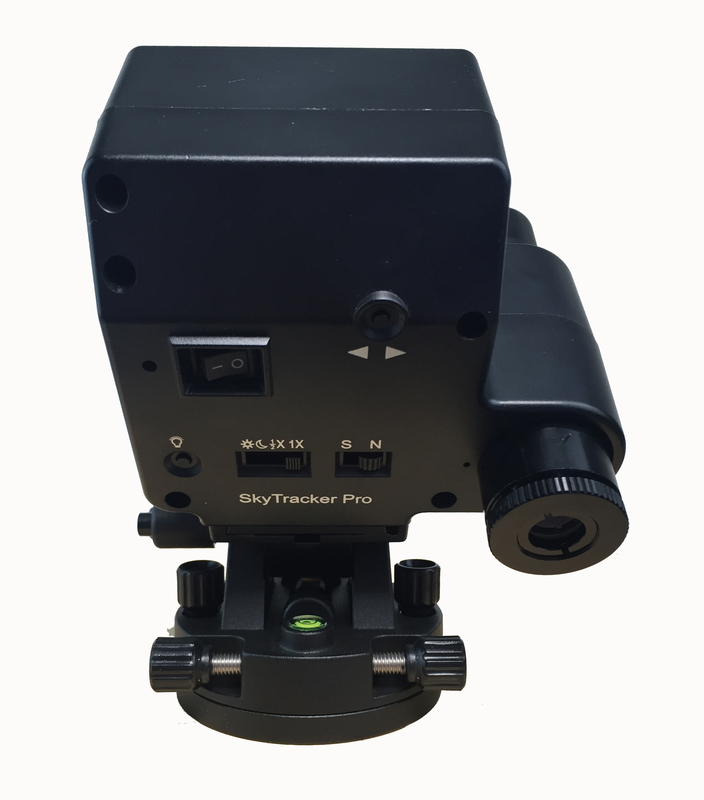 Upgraded from SkyTracker, the Pro is more compact, small enough to fit on your palm, better precision, silent tracking, it even has a built-in rechargeable power source that runs for over 24 hours of continuous operation. 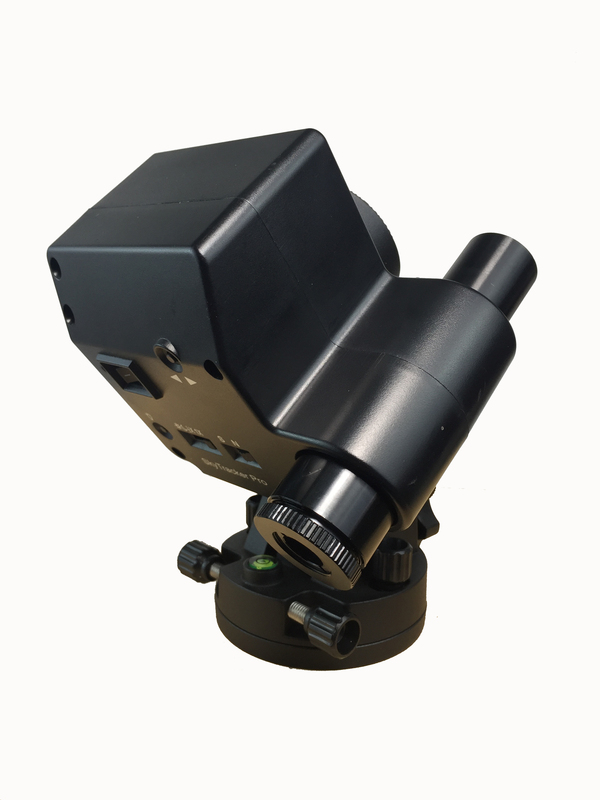 The improved precision polar scope maintains a fine engraved reticule, now features adjustable illumination with eight brightness levels. Using with our smart phone app, quick and accurate polar alignment is just a joy. 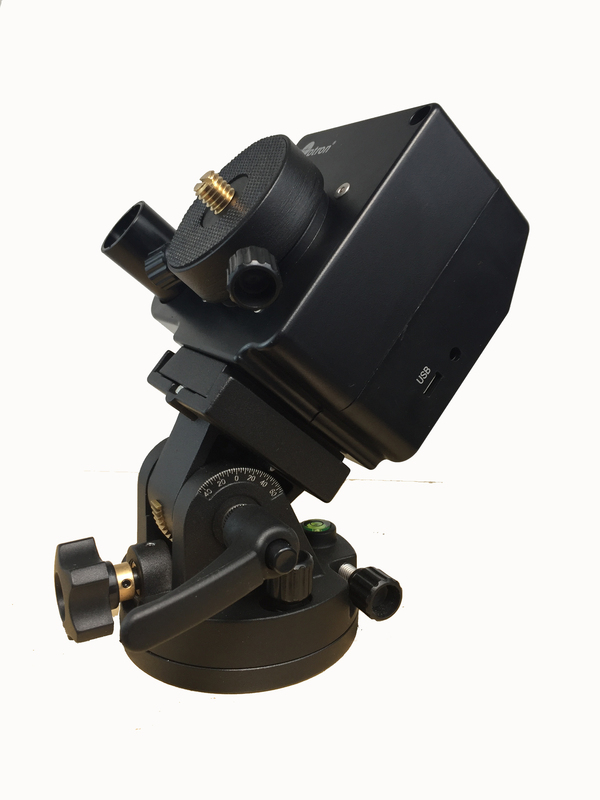 We have made big improvements on the SkyTracker Pro s removable alt-azimuth base, which features a precision bubble level, degree markings for the altitude and a built in post for the azimuth control. 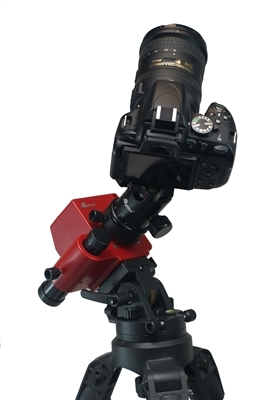 You can also mount the SkyTracker Pro head (without the base) directly to any standard photographic tripod with 1/4 or 3/8 threads. 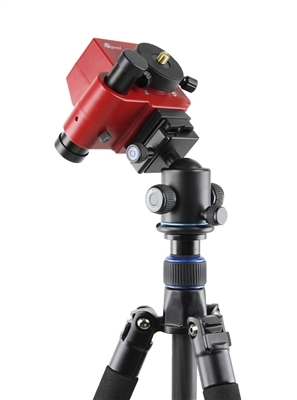 The SkyTracker Pro is certainly a must have tool for any photographer interested in astroscape or wide field astrophotography.